We are a Colorado Springs based lawn care and lawn maintenance company. 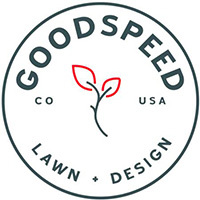 Goodspeed Lawn focuses primarily on residential yards and commercial complexes. In addition to mowing we offer snow removal and aeration services. All of our packages begin with a free estimate. During this process we discuss the needs of your home/community and how Goodspeed Lawn can meet all of those. A quote is then worked up based upon the conversation. Our goal is to make lawn care the last thing on your mind so you can focus on summer bbqs, going to the pool, vacations and many other activities. We have been living in Colorado Springs for most of our lives and have a special love for this area. Our philosophy of business is based on family and relationship. We incorporate our children into our business 1. Because they love it 2. It teaches them work ethic 3. That is part of how we foster relationship. In addition to those relationships we realize that business is a relationship as well. Whether you are an individual customer or a business we want you to always feel comfortable coming to us with your needs, concerns, and visions for what you want your property to look like. We hold these standards for our employees as well. Over the years we’ve realized that dedication to family, clients, and employees is priority. That’s why we strive to build a relationship with you in order to serve you to the best of our ability. From our trucks to our schedule organization is at the heart of our company. We show up at your property each week on a regular time. If weather arises we communicate the time change. Our crew members take time to listen to any concerns you may have with your yard and then they work to implement a solution to solve it. We care about your yard as if it was our own. We are results driven and aim to give you the best yard you have ever had.